This condo can sleep six people; two in each bedroom and two on the queen size sleeper sofa in the living room. The terrace is the place you might spend most of your time while in SE 404! It has a dining table, chairs and also a sunbathing area with chaise loungers. 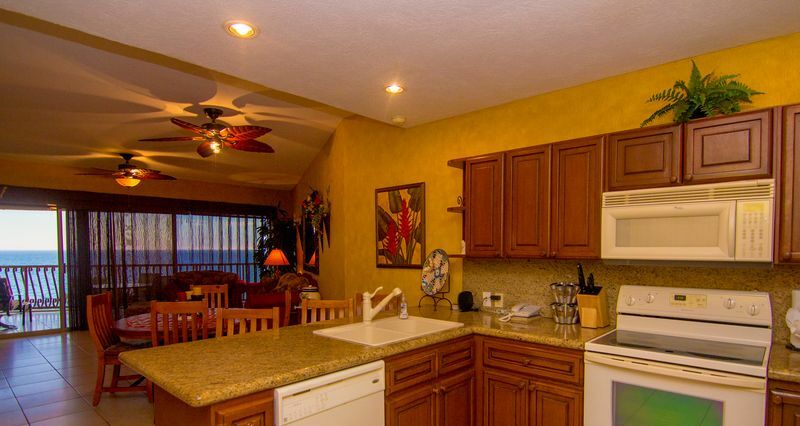 - Master bedroom suite with individual patio access, walk in shower, jacuzzi tub,double vanity. loved the stay...wind made ocean entry undoable for most of the stay which was extremely disappointing...the place was clean, comfortable and well stocked. Would likely stay again.